zing, zap, pow! exploring electricity with boys! a girl too, but she is way more active than the average girl and dolls aren’t even in her vocabulary. never have been. It is important to note, when telling you that I have boys, that I was raised in an all girl family. I learned after having boys, that they do things much differently than girls. The first thing that boys do, is take E-V-E-R-Y-THING apart. They dig, just because they want to know what is under the ground. They break toys to see how the arms work. They disassemble cars to see what really makes it go, the battery or the gears. Girls, do. not. do. this. It has been years, and I am still getting over my boy culture shock…. every time I toss a de-armed soldier, or decapitated warrior into the trash can, I shake my head and chalk it up to life with boys. This need to figure out the how and why of the way things work is exactly why I was so excited to review this product by AIMS Educational Foundation. AIMS offered TOS reviewers several of their products for review. The nanosecond that I saw this choice, I KNEW it was the choice for us. 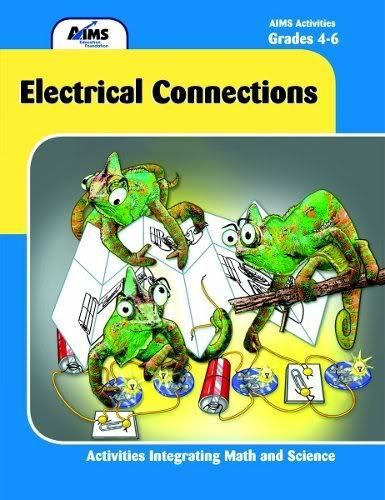 Electrical Connections is a science activity book written for those in the grades 4-6. It speaks to the very soul of boys who NEED to KNOW how stuff works!!! This 223 page book of experiments comes complete with a CD-ROM full of every printable that is in the book. Each section has a teachers guide of sorts; making it a book that is self sufficient to use. These teachers pages state the topic and any benchmarks or standards that this experiment will coordinate with. It lists the type of science that you are learning, Physical or Earth, for example. There is background information, how to manage the experiment in larger settings, material lists and the procedures. They even have a list of questions to ask the student to help reinforce the learning experience. For my hands-on, take everything apart 4th grader, this Science activity book was pure magic. He has loved every experiment we have done so far. We used the book once a week, when we wanted to have more fun, but very directed learning for the day. Here are some photos of our experiment with Static Electricity. Measuring to see the approximate distance we need to hold the charged balloon from the string. Zuuuuoooooppppp! Those pieces of string just jumped up to the balloon! Those positive electrons just couldn’t resist! We repeated the predictions and recorded the observations for pieces of aluminum foil, paper clips and salt. In order to supplement the learning, I would go to the library to check out books on electricity for Hunter to read through out the week as we prepared for our experiment day. Priced at $24.95, Electrical Connections is a great way to explore electricity without breaking the bank. Some of the materials needed for the experiments must be purchased. (batteries, magnets, paper clips battery holders, insulated wire, copper wire, light bulbs…etc.) 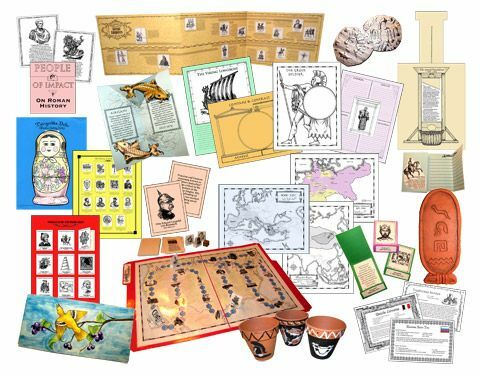 AIMS provides kits for homeschoolers that are fairly well priced and will allow you to complete most of the experiments in the various books they offer. I was not able to find a kit that was specific for Electrical Connections and marketed to homeschool sized families. I talked this option over with my husband and showed him the materials list, he stated that most if not all of the items, or their equivalents, could be found at a local hardware store, and the purchasing of redundant items at a classroom size level would not be cost effective for most families with one or two children using the product, even in successive years. Make sure you take some time to see some of the other great activity books this educational company has to offer. They have various products available to be used from grade K thru grade 9. You just might find the perfect something to help inspire and ignite the love of learning in your own child. Many homeschool families reviewed some of the 6 different products that AIMS made available to The Old Schoolhouse Homeschool Crew. Please read their reviews before you make a decision on purchasing a product for your family.